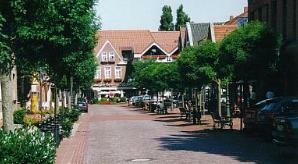 Did you ever hear of Haselünne , Emsland , Germany ? Wich even has been a member of the historic traiding-association, the “Hanse” ? Bet you never heard a single word of it ! I hope you are a bit curious now. On this website we show you some general information, several pictures and some small pieces of entertainment and touristic information. Perhaps you will find it interesting enough to visit Haselünne. Haselünne is...........a tourist-inviting town... we would be glad to meet you here.. In case you don´t know plattdütsch : ist a north-german language ( a real minority language, not a dialect ).